The Generali Ladies Linz international event has been a mainstay on the WTA Tour since 1987, and has attracted some of the biggest names in tennis. Jana Novotna, Lindsay Davenport and Justine Henin are some of the champions of yesteryear; among active players, Maria Sharapova, Ana Ivanovic and Petra Kvitova have triumphed in the TipsArena. 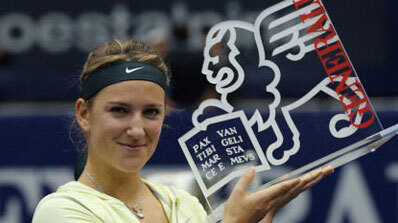 Last year’s champion, Victoria Azarenka, has opted to skip the 2013 edition, which leaves Sloane Stephens (Player Bio) as the top seed in a WTA event for the first time in her young career. The 20-year-old has a lot to gain over the coming weeks. Not only is she searching for her first trophy, she is also aiming to reach the top ten and, possibly, secure a place in the season-ending championships in Istanbul. Alas, Stephens has been handed a tough draw in Austria. She opens against Magdalena Rybarikova, who had a successful summer on hard courts and beat Stephens in their only previous encounter in Washington last year. In round two, the American will likely meet Andrea Petkovic, whose comeback from injury gained traction last week in Beijing when she beat Azarenka. The Stephens-Petkovic head-to-head stands at one win apiece, but the youngster was fortunate to come through their second round clash at Wimbledon this year, which ended 8-6 in the deciding set. 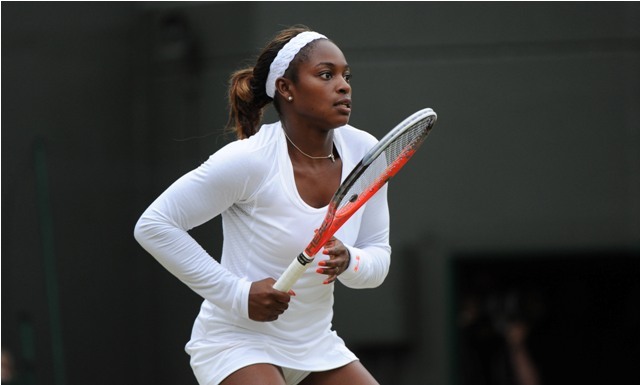 Stephens is slated to meet seventh seed Daniela Hantuchova (Player Bio) in the last eight, to whom she lost on the clay courts of Madrid back in May. Kirsten Flipkens (Player Bio) has dropped off the radar since her surprise run to the Wimbledon semi-finals, and could do with a strong result in Linz. Seeded fourth, she will play fellow Belgian Yanina Wickmayer in the opening round, a player she hasn’t beaten in four attempts. The winner of that match will play either Karolina Pliskova or Francesca Schiavone in round two. Aside from hoisting the trophy in Kuala Lumpur at the beginning of the season, Pliskova has struggled to win consecutive matches in 2013, which makes Schiavone the favourite to come through their first round contest. The Italian was impressive in Beijing, giving Serena Williams hell in a tight two-setter. But can she overcome a 0-4 head-to-head record with Wickmayer, or get the better of Flipkens, who has beaten her twice in three matches this year? If she can, the reward could be a quarter-final meeting with sixth seed Dominika Cibulkova (Player Bio), but only if the Slovakian can overcome the promising 19-year-old Annika Beck. The bottom half of the draw is headed by two-time Linz champion Ana Ivanovic (Player Bio). The Serb will be looking to bounce back from a disappointing loss to Polona Hercog in China, and would dearly love to win her first title in two years on the quick indoor courts. In the opening round, she’ll face notorious “junk-baller” Monica Niculescu, who she beat in last year’s tournament. After that is a likely meeting with world number 74 Alexandra Cadantu, and in the last eight she is due to play fifth seed Sorana Cristea (Player Bio). Ivanovic has beaten the Romanian twice before, but the two haven’t clashed since 2010. Cristea beat four top 15 players on her way to the Toronto final in August, and can be a formidable force when in the zone. To date, however, the 23-year-old hasn’t developed an adequate “B” game, and therefore struggles when the booming groundstrokes miss their targets. It’s been a somewhat strange season for Linz’s third seed, Carla Suarez Navarro (Player Bio). The Spaniard, blessed with a beautiful one-handed backhand, has broken into the top 15 and reached six quarter-finals, including at the US Open. Yet she has also suffered some humiliating high-profile losses. She won a single game against Nadia Petrova in Dubai, and was double bagelled by Serena in New York and by Jelena Jankovic in Beijing. She will be favoured to overcome a qualifier in the first round in Austria, but can she get past the last 16 stage, where she will face either Mona Barthel or rising star Elina Svitolina? Awaiting the winner of that section could be another teenager, Donna Vekic, or eighth-seeded veteran Klara Zakopalova (Player Bio). Julia Goerges is also in this part of the draw, but few would be surprised if the slumping German, who has won consecutive matches only twice this season, falls to a qualifier in the opening round. It’s difficult to predict a winner in Linz. The field is even, and the top seeds inconsistent. If Stephens can show more grit than she did during her loss to Caroline Wozniacki in Beijing, she has a shot at a maiden WTA crown. Putting money on Ivanovic, Cibulkova and Cristea is risky, but each is capable of catching fire and storming to the final. Based on current form though, we’ll predict success for one of tennis’ most endearing personalities and toughest competitors.